Please click here to contact us if you have questions about advertising on the AHS website. The American Hosta Society offers two areas for nurseries and garden related businesses to advertise on the AHS website. The cost of the ads helps offset the cost of keeping the AHS website current and up-to-date. 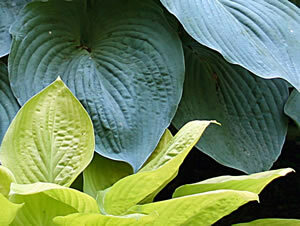 Commercial hosta growers and nurseries can advertise their business on the Hosta Vendors page. Advertising on the AHS website provides nurseries a great opportunity to make themselves known to a highly targeted audience. Since launching the new AHS website in March 2008, the website has averaged over 15,000 hits per month and all of those people are interested in one thing – hostas! Vendor must have a current membership in the American Hosta Society. Annual charge for the ad is $50. If the vendor provides a web ready logo graphic for the ad, there is no set up fee. If the AHS sets up the logo graphic, there will be a one time set up fee of $20 per ad. Ads are organized by state on the Hosta Vendors page and each ad includes your logo, city, state, and a link to your website. If you do not have a website, contact details will be included. Garden and hosta related products can be advertised on the Garden Goods page. Annual charge for AHS members is $50. Annual charge for non-AHS members is $75. AHS members wishing to place ads in both the “Garden Goods” and the “Hosta Vendors” sections must pay the fee for each section. Ads are organized alphabetically on the Garden Goods page and each ad includes your logo, city, state, and a link to your website. If you do not have a website, contact details will be included. Purchasing an ad on the AHS website is not an endorsement by the AHS. There will be no discounts associated with auction donations or advertising in The Hosta Journal. 2. Send Your Ad Information - Once your ad is paid for, the final step is submitting your business information. You will be contacted to make arrangements for your logo graphics.